Today, North Bangalore is among the fastest real estate growth zones in India. Over the years, this part of Bangalore has witnessed rapid development along the Hebbal-Airport corridor, accelerated by the completion of the elevated expressway. 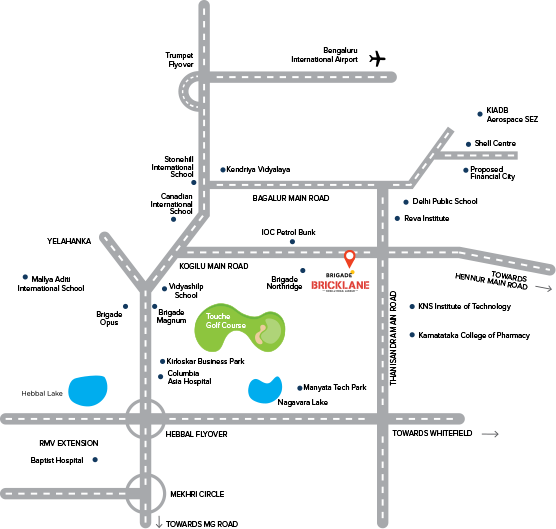 Brigade Bricklane: Kogilu Road, Jakkur, Near Brigade Northridge, Bangalore, Karnataka-560 064.